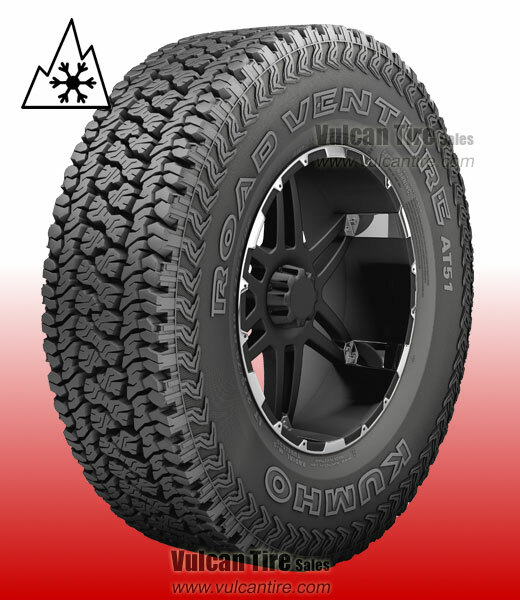 The Kumho Road Venture AT51 offers world-class traction on soft terrain, and surprising comfort on the road. It offers control in deep snow, muddy job sites and wet highways, with a ride that rivals many touring tires. Masterfully balanced on/off-road performance, with exceptional efficiency. Provide excellent grip and stability in heavy weather by channel rain and snow away quickly. For long tread wear and fuel efficiency, engineered to cool quickly and wear evenly.